The seasons may be changing, but the move into fall and winter only means more opportunities to catch the northern lights in Iceland. Now, there's an opportunity to get there on the cheap. WOW Air is running a sale with $99.99 one-way flights to Reykjavik from multiple U.S. cities, and the sale isn't just for cities on the east coast. There are $99.99 flights from the midwest and sale-priced deals from the west coast. Plus, cheap flights can be found in both directions. You can find a round-trip flight for as little as $199.98. The cheapest flights are currently available from Boston (flights from November 2018-March 2019), St. Louis (October-November), and Washington D.C. (November 2018-March 2019). You'll also find $109.99 one-way flights from Chicago, Detroit, New York, and Pittsburgh (all four cities have flights from November to March), as well as $179.99 flights from Orlando (January-April 2019), and $229.99 flights from Los Angeles (November 2018-January 2019). There's no specific end date for the sale, so you should buy soon if you want tickets. Cheap fares tend to disappear in a hurry. The rub is that you need to be a champion packer because the budget airline charges for a carry-on and any checked luggage. The only free luggage you can bring is your personal item. Though, if you have to pay for some luggage, it's cheapest to do it at the time of booking. The price can increase if you choose to pay for your bags at the airport. 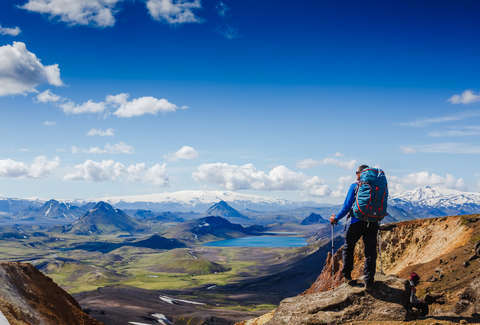 No matter how you get there, Iceland is a great trip with adventures for just about any kind of traveler. You can sleep under the northern lights, relax in hot springs, or hop in a truck and drive the Ring Road. Every option is a good option.